Basic architecture tools remain popular despite the trend toward computer operated design. Although "the introduction of computers, the microprocessor, keyboard, and mouse replaced the simple tools of architecture -- and forever altered the way designers work," according to Denise Fulton, technical writer for VeriSign, there is still room in the industry for basic drafting equipment. A laptop equipped with the next generation of architecture tools as well as a drafting pad, pen set and straight edge, aid in well-designed architecture. Standard sketchpads for freehand design are a staple architectural supply. Tracing paper is useful for layering changes in design and protecting work. Virtual sketch pad computer technology is available. Programs transfer freehand drawings and rapidly generate 3-D geometric figures or shapes on a transparent window. As a design comes to mind it is sketched on paper with leads or charcoals. More formal plans are penned out in fine-tipped markers of various line thickness. Mechanical pencils with various-sized leads, as well as a kneaded gum eraser, are useful drawing tools. A metal straightedge, preferably with a non-slip cork back that raises the edge a bit, may be the most-used tool of an architect. The straightedge is different from the ever-popular T-square and is used for perfectly aligning parallel straight lines. French curves or adjustable curves are helpful with furniture, walkways and other non-linear design. We learned our shapes as children. The necessary tools are required to successfully form them as architects. Triangular scales, adjustable triangles, and circle and ellipse templates are all useful tools. Whether moving around a large piece of print with a client using drafting pens and straightedges, or working at a laptop for computer-based design, a well-lit, comfortable place to work is most important. A drafting table with a sturdy base, a tilting work surface, storage for tools and unobstructed leg room is useful to an architect for comfort and ease. Dermody, Jennifer. "List of Architect Tools." 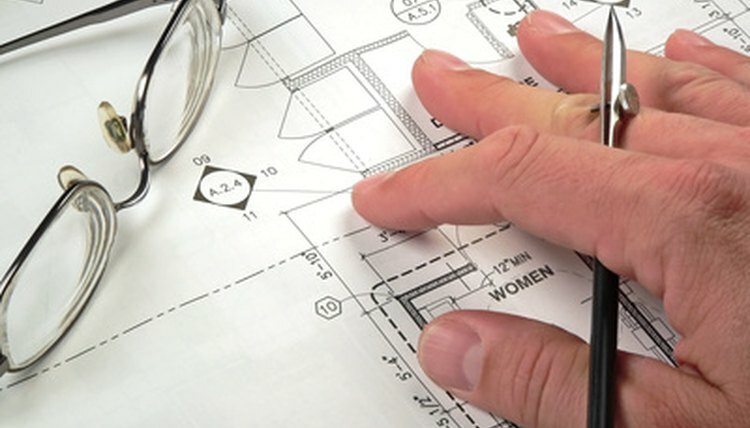 , https://careertrend.com/list-7388801-list-architect-tools.html. 21 November 2018.